Keeping yourself steady and safe while standing is not such an easy thing to do when you have balance problems. If you’re trying to stand upright and you start swaying just a little bit forward or backward, you’ll end up falling to the ground if you’re disoriented. People with balance problems have a very narrow safety range before they end up falling. Because of their lack of confidence while standing, some people will skip social gatherings and parties because they’re worried about falling in public in front of their friends. 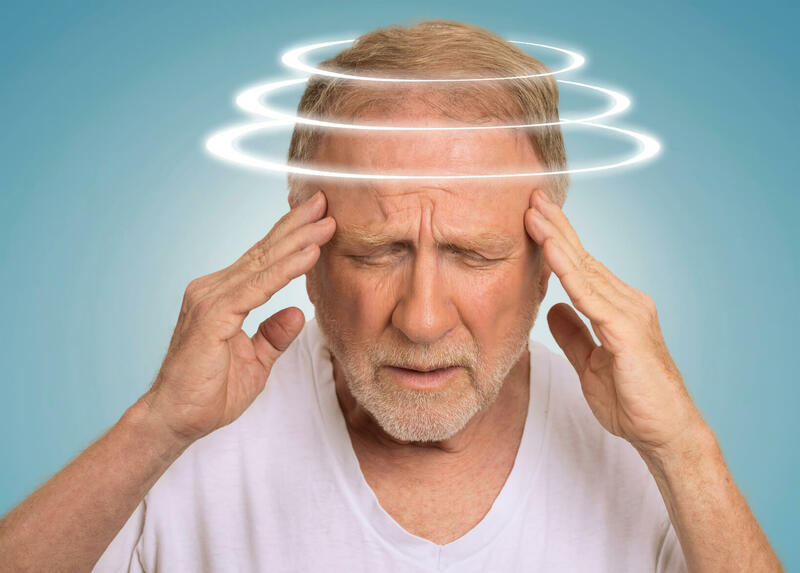 Dizziness, lack of stability while standing and disequilibrium are all symptoms related to dysfunction in the vestibular system. What is the vestibular system, and what happens when it doesn’t work correctly? The function of the vestibular system is to tell you how fast you’re rotating. It’s also there to tell you whether or not you’re tilting. It’s usually a case of damage to one or both ears in a person that causes this system to go haywire. If only one ear is damaged and the other ear is still working, there’s an imbalance between the two ears. What results is the illusion that you’re spinning even when you’re not moving. The particular disorder of feeling like you’re turning when you’re not turning is called vertigo. Another pattern of damage in the vestibular system is when both ears stop working at the same time. In this case, people who rotate their bodies don’t feel as if they’re turning even when they should feel like they’re turning. When tilting is involved, you can guess what happens to people who don’t sense any movement when they should. They start to tilt over and, because they don’t feel like they’re in motion, they just keep going until they hit the ground. Another sign of balance impairment is not being able to see clearly when the head is in motion. Normally when you turn your head, your eyes counter rotate thanks to your vestibular system. This counter rotation of the eyes allows you to see when your head’s in motion. But people who have a vestibular system disturbance experience the immediate environment moving with them. This ends up being quite disorienting as these people can only see when their heads are still and not in motion. Some balance exercises you can do at home. Let’s talk about some balance exercises that you can do at home. Please be aware that not all dizziness conditions will be suitable for these balance exercises. Before you start these exercises, see your physician or physical therapist to make sure you get an appropriate diagnosis. Furthermore, there are certain balance conditions that are better served by seeing a trained vestibular physical therapist. The vestibular exercises that we will be describing here is a modified version of the Cawthorne-Cooksey exercises. These are exercises that target the three main inputs to balance which include the visual, inner ear and postural systems of the body. The way the visual system is targeted is through a variety of eye tracking exercises. These eye tracking exercises also help benefit the inner ear. The postural system is targeted by working through the joints of the body. These exercises are meant to be part of a progression and to be advanced upon step by step. If at any point you feel unsafe or at risk of a fall, stop the exercises immediately. The first set of exercises will begin in the seated position and involves a series of eye tracking exercises. What you first want to do is move your eyes up and down. Now move your eyes side to side. Next, move your eyes from out to in and back. You perform this exercise by focusing on an object about an arm’s length away like your finger. Bring it to within six inches of your nose and back out again while focusing on your finger with your eyes. You can also use an object like a pen instead of your finger if it helps your eyes focus better. Now you can try the head exercises for improving your balance. You again want to focus on a pen in front of you at arm’s length. You want to move your whole head up and down while keeping the pen in focus. This is an exercise that you will first start slowly and as you progress you will increase the speed. Then you can do it from side to side once again starting slowly and gradually picking up speed. You should also repeat these same eye-focusing exercises while standing. You can conclude your session by moving up from a sitting position to a standing position, and then back down again. You can repeat this ten times, initially it with your eyes open, and then with your eyes shut.